[HARRISONBURG, VA, June 12, 2018] — A group of community leaders in Shenandoah County seeks to bring the professionally-guided mentoring services of Big Brothers Big Sisters to children in their area. Big Brothers Big Sisters is a nonprofit program that supports children (“Littles”) ages 5-18 by matching them in professionally-guided, one-to-one mentoring relationships with adult volunteers (“Bigs”). Leaders from Shenandoah County Public Schools, Holtzman Oil & Propane, F & M Bank, the Regulus Group, and Shentel are championing the initiative. 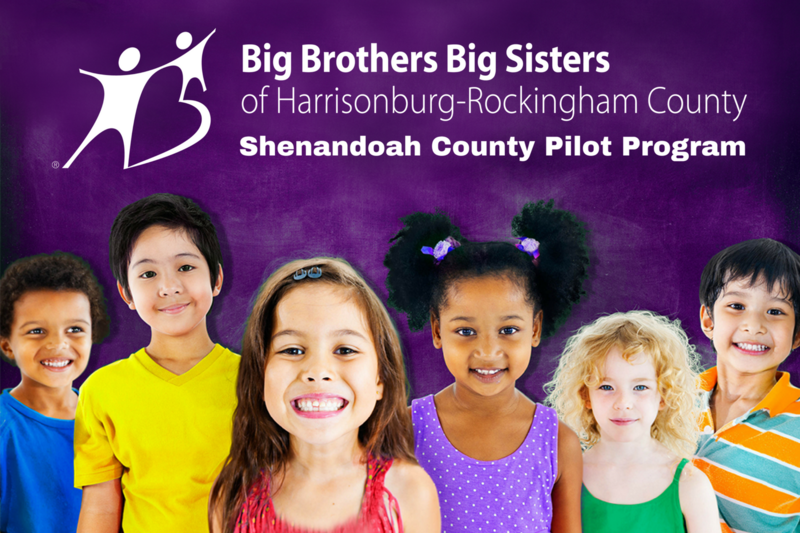 The pilot program would be administered by Big Brothers Big Sisters of Harrisonburg-Rockingham County and seeks to match up to 25 children with volunteer mentors who live or work in Shenandoah County. A $30,000 fundraising threshold has been set to begin the project. Once met, the funds would provide the staffing necessary to accommodate the expansion of services from the main Big Brothers Big Sisters office in Harrisonburg to a satellite location in Shenandoah County. A July 1 date has been set to evaluate progress toward the fundraising goal. Currently, $20,000 has been raised through Holtzman Oil & Propane, F & M Bank, the Regulus Group, and Shentel. The funds will support outreach and partnership development, volunteer recruitment and screening, child and family enrollment, and professional staffing to provide ongoing supervision and support to each match. Many children served by the Big Brothers Big Sisters program are facing environmental risks such as having an absent or incarcerated parent, limited English proficiency, academic or emotional challenges, or living at or below the poverty level. Businesses or individuals wishing to support the Big Brothers Big Sisters Shenandoah County Pilot Program may visit www.bbbshr.org/shenco/ or contact Big Brothers Big Sisters of Harrisonburg-Rockingham County Executive Director Lindsey Douglas at 540.433.8886 or [email protected].